I’m off for an impromptu overseas trip this week. I plan to relax and relish in the awe of new surrounds, sights and experiences. In the spirit of new experiences and as I travel, I have lined up a guest post from one of my favourite bloggers. Today’s guest post is brought to you by the fabulous Aimee of Twigg Studios. I stumbled upon Aimee’s blog, soon after starting my own. Her french inspired treats; in particular, all her creatively flavoured macarons and decadent cakes drew me in – validating our equal love for all things french and sweet. Aimee’s photography and styling is breathtaking. And her recipes and flavour combinations, refreshingly unique. Her voice is so real and truthful that through her blog, I feel like I’ve grown to know her well… despite living countries apart. Simply put, both Aimee & Twigg Studios are wonders. 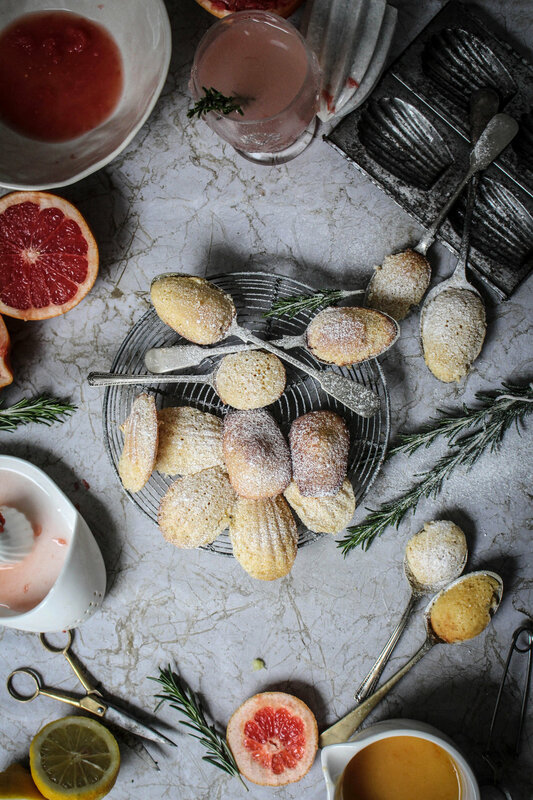 This recipe is for Aimee’s Pink Grapefruit and Rosemary Madeleines. I made them. And they are deliciously moorish and addictive. The bright, tart and citric flavour of grapefruit when combined with the herbaceous notes of fresh rosemary is pure genius. Using a grater, remove the zest from the grapefruit. In a large bowl, add the grated zest with the sugar. In another bowl sift together the cake flour and baking powder. Add the honey to the bowl containing the zest and sugar, then add the eggs and whip until pale. Sift then fold in the flour mixture then finally add the 12 tbsps. of melted butter and chopped rosemary. Gently combine. Cover the mixture and place in the fridge overnight or for at least 12 hours. The following day, with a pastry brush and using the remaining 2 tbsp. of melted butter, grease the madeleine moulds then dust with flour. 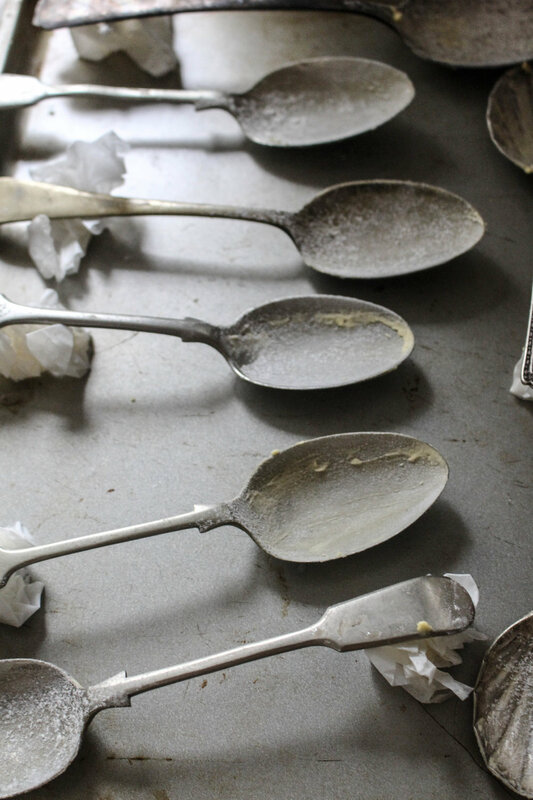 (If you don’t have madeleine moulds you can use dessert spoons propped up with some tin foil/paper – grease and flour them the same way as you would with the regular moulds). Pre-heat the oven to 200 C / 390 F. Refrigerate the moulds for 15 minutes to allow the butter to harden, then fill the moulds with the batter ¾ to the top. Tap them on a work bench to bring any bubbles to the top. Bake for 8 minutes. Allow to cool slightly before removing from moulds.